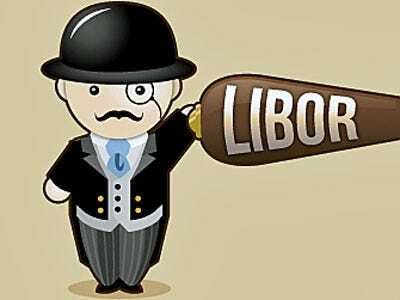 A top American regulator has suggested that Libor was often “completely made up” and that authorities could not guarantee the rate is free of fraud. Gary Gensler, chairman of the Commodity Futures Trading Commission, likened Libor to an estate agent trying to sell a house. “They are trying to reference the price of the houses in the neighbourhood [when] there have been no transactions in the neighbourhood and furthermore, the agent is not willing to share the data and is often just making it all up,” he told the BBC. Banks have already been fined hundreds of millions for attempting to rig the Libor rate, which is a benchmark interest rate used to fix the cost of borrowing on mortgages, loans and derivatives worth more than £28 trillion globally. Speaking about the scandal, Mr Gensler commenting on “pervasive rigging” and said authorities could not guarantee the rate was free of fraud. “We have a lot more work to do,” he said. His comments came as the Financial Services Authority – Britain’s regulator – said it will publish its internal review into when it first knew about banks rigging the Libor rate within weeks. The watchdog told parliament’s Treasury Select Committee in a written submission that the review was being conducted by its internal audit division. The FSA was responding to the committee’s report last year on the Libor scandal. Members of the committee were concerned the watchdog was two years behind US regulatory authorities in starting formal probes. The FSA said in its submission it had worked jointly with the US authorities from 2008 onwards.